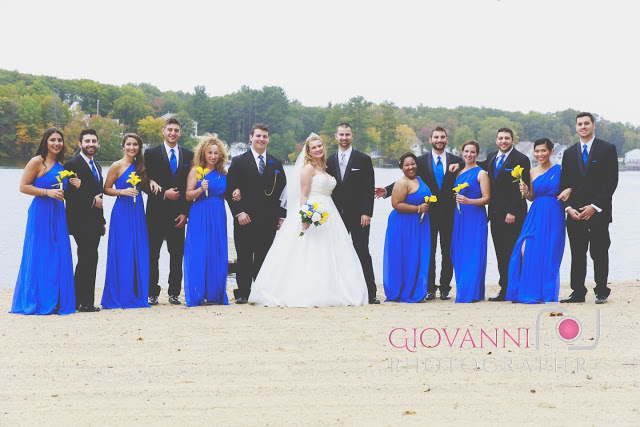 On a beautiful fall day, Janie and Marc were married at Luciano's on Lake Pearl. What an adorable and loving couple! These two hopeless romantics dreamed of an enchanted fairy tale wedding just like in the Disney movies. The couple had their wedding ceremony in a chapel overlooking Lake Pearl. The harpist played Aladdin's "A Whole New World" as the wedding guests arrived. 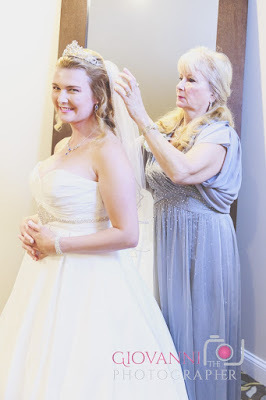 Janie looked like a princess in her gorgeous ball gown and diamond crown as her father walked her down the aisle. 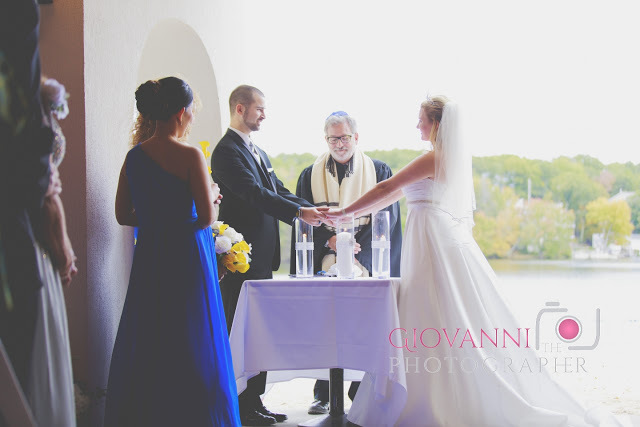 This wedding ceremony was officiated by a Rabbi and a Priest to incorporate both Jewish and Christian traditions. The ceremony commenced with the lighting of the unity candles and closed with the breaking of the glass. Their "I dos" were sealed with a kiss. The boat house chapel was nestled right on the edge of Lake Pearl. After the ceremony, I captured breathtaking photographs along the water. Janie and Marc took dance lessons in preparation for their big day. They rehearsed their first dance on the beach one last time before heading to the reception. 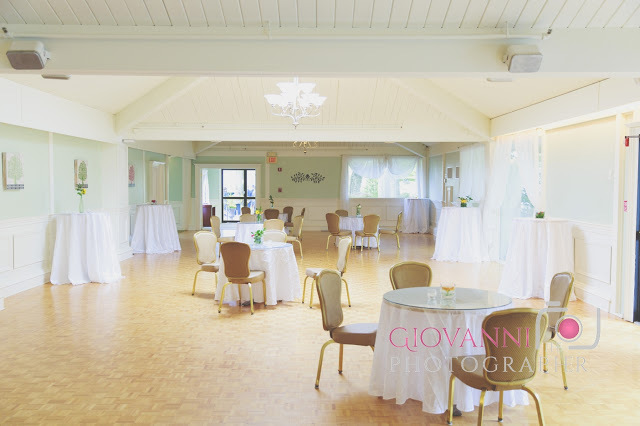 Located in Wrentham, MA, Luciano's on Lake Pearl is a premier wedding venue in the South Shore. What a fantastic establishment! There were so many locations on the premises that provided a variety of gorgeous backdrops for portraits. The bridesmaids looked absolutely stunning in their royal blue chiffon gowns. 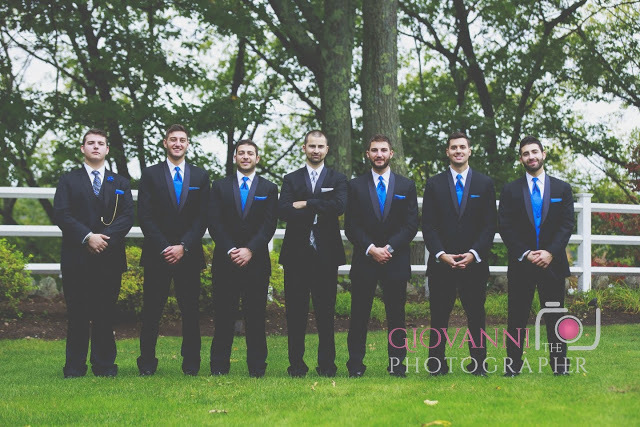 Janie and Marc had such a gorgeous bridal party! The cocktail hour took place in the East Garden Room (below) and the wedding reception took place in the Garden Room. It was so touching to see the union of the two families. During the wedding reception, we snuck outside to capture more magical moments! Lake Pearl's boat house chapel, gardens, pumpkin carriage, arches and gazebos allowed for so many amazing opportunities for photographs. 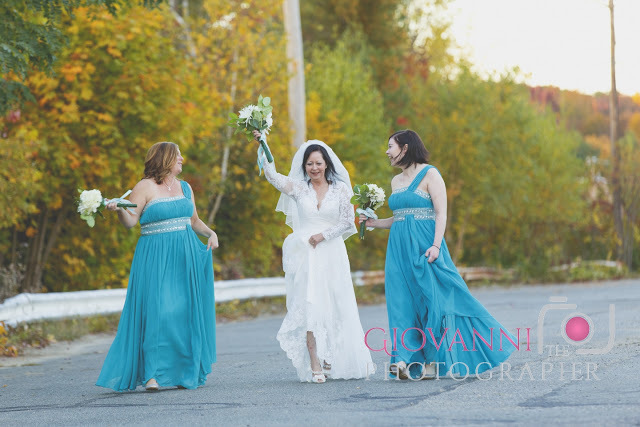 I recently captured Diana and Ian's wedding at Lamie’s Inn in Hampton, NH. Diana and Ian dated in high school. They lost touch after graduation but they were never too far from each other. For years, they both lived in the same town in San Ramon, CA and didn't even know it. In 2009, they reconnected on Facebook. Soon after Ian accepted a job in Maryland. Diana sold her house and moved to Maryland to be with Ian. The lovely couple said their "I dos" in front of a small group of their closest family and friends. After reading their wedding vows, they performed a love lock unity ceremony. Diana and Ian clasped a lock together as symbol of their commitment to each other. The lock is to be thrown in the ocean to never be opened again. Built in 1740, Lamie’s Inn is a charming family owned and operated colonial style inn. The inn also has an award-winning restaurant, The Old Salt Restaurant. This location is the perfect setting to host any special event such as weddings, engagement parties, baby showers and bridal showers. 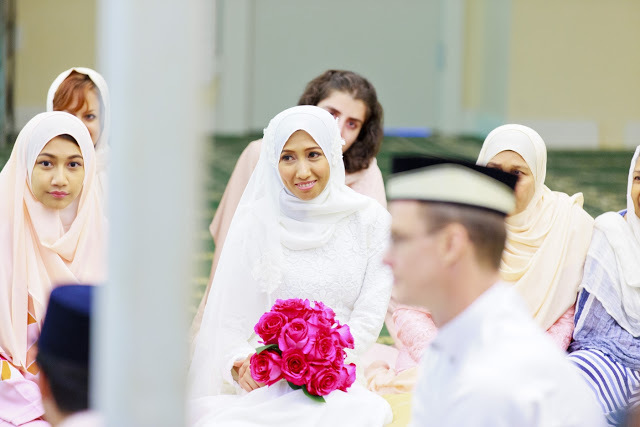 Farhana and Anthony were recently married at the Islamic Center of Boston in Wayland, MA. A traditional Malaysian wedding ceremony begins with the “akad nikah.” The akad nikah is the formal marriage contract and is also known as the marriage solemnization or wedding vows. During an Islamic solemnization, everyone is seated on the floor. The groom seals the marriage contract with the bride’s father or a “wali.” A wali is an authorized person who is the bride’s grandfather, brother uncle or close male relative. 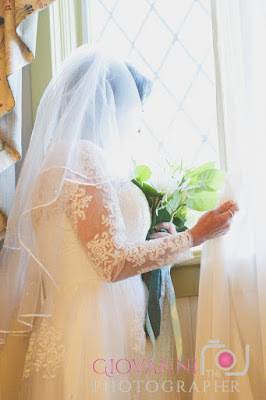 Some brides are isolated in another room while the ceremony takes place while some brides are present in the same area but facing a different direction or sitting at a distance behind so that the groom cannot look directly at the bride. The solemnization is sealed with the groom kissing the bride’s forehead and the bride kissing the groom's hand. Malaysian culture is a diverse mix of Indian, Malaysian and Chinese heritage. In India and its neighboring South Asian countries, women have "mehndi" or henna applied on their hands and feet for festive occasions such as weddings, religious events and traditional ceremonies. The Islamic Center of Boston was established in 1979. The center services the Muslim community in New England. In November 2005, the building was reconstructed. The intricate designs on the walls, windows and floors of the mosque made the most beautiful backdrop for the portraits. What a gorgeous couple! Congratulations Farhana & Anthony! It was truly a pleasure to be a part of your special day. I recently captured Anni's Mehndi Party at the Wilmington United Methodist Church in the North Shore, just outside of Boston, MA. 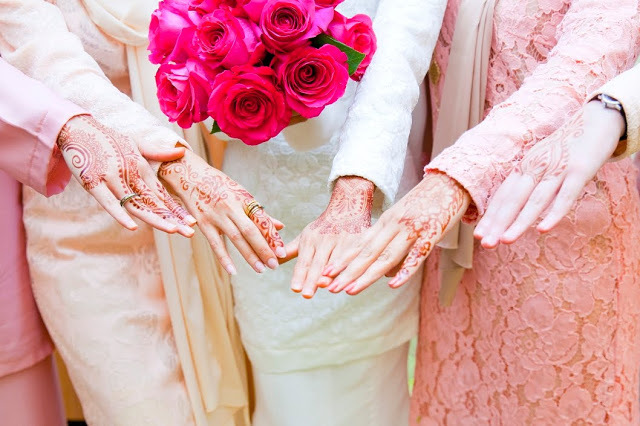 A 'Mehndi' or henna party is a pre-wedding ceremony where the bride-to-be, her female friends and family have elaborate henna designs painted all over their hands and feet. Some believe that the darkness of the Mehndi on the bride's hands represents the love between the couple. Others believe that the darkness of the Mehndi represents how much the mother-in-law loves the bride. The ceremony was beautiful! The decor was fun, colorful and lively! Anni's family and friends lined up to feed her sweets all night long. I learned so much about Muslim and Bengali wedding customs. I found out that the bride is not allowed to do any wifely duties in the marital house (cleaning, laundry, etc) until after the henna fades away. Henna typically lasts about 2-4 weeks. Whew, good thing my wife didn't know about this when we got married. Anni was absolutely stunning! The full video was approximately 30 minutes long, but here is a short clip of this traditional Middle Eastern ceremony. The following day, Anni and Mufrad had a Biye ceremony. I cannot wait to post about this event as well. Stay tuned!